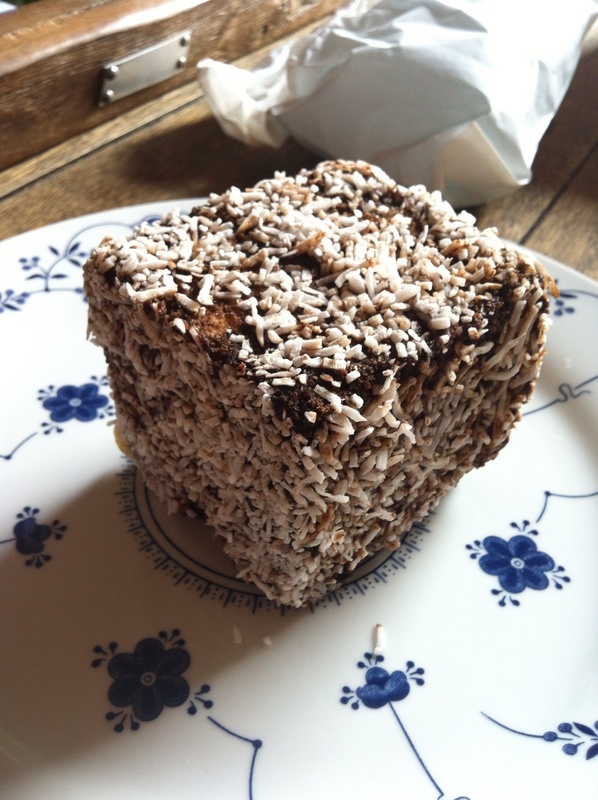 Happening upon lamingtons unintentionally, is the best. I came across this little gem straight off the plane and after breakfast at the Jackman & McRoss, in Hobart. I’d like to think we have another international entrant in this competition, but travelling by plane and over the ocean doesn’t always mean so in this part of the world… I’m just in Tasmania. Jackman & McRoss is known for its sourdough bread, pies and a fantastic selection of savoury and sweet tarts. 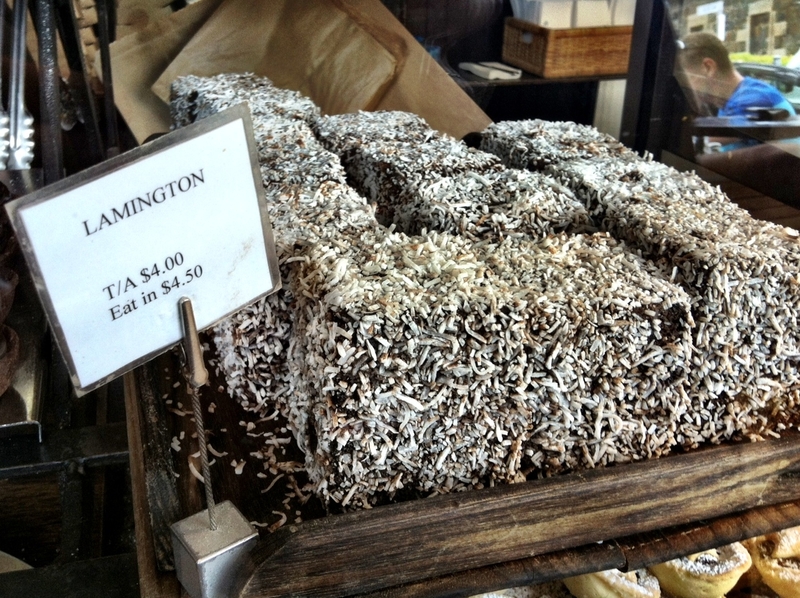 And now, lamingtons! 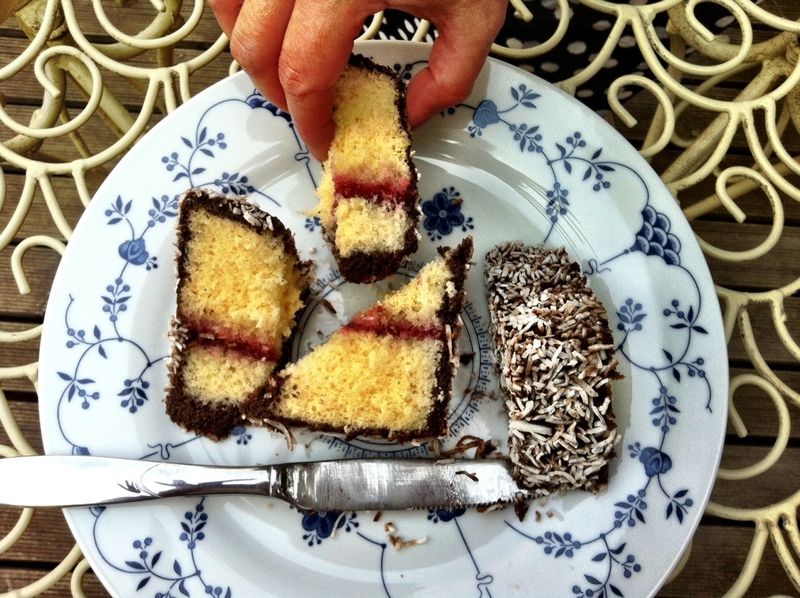 After breakfast, B2B and I took home a selection of cakes – Chocolate Frangelico tart; Lemon curd tart; White chocolate and peach tart; Summer pudding and a lamington – all intended for afternoon tea. but I couldn’t wait. Back at B2B and H2B’s house in the hills of Cygnet – while my hosts play with their adorable new puppies – I get my lamingtion out to play. 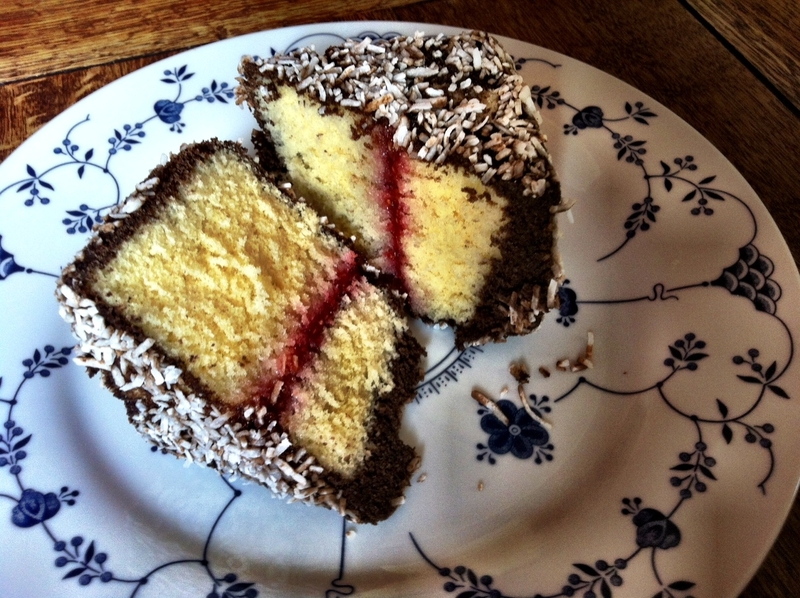 To my great delight, when I cut through the centre, it’s filled with strawberry jam and coated a thick rich chocolate. But it’s got a taste test with three judges to pass just yet. We all agree it’s delicious. Light sponge and a chocolate coating that’s much thicker than usual, like icing (earning big points here). And the lovely jam – a little bit tart and specked with strawberry seeds. A definite contender to take out the top spot in is competition. In fact, I’ll guarantee it a spot in the top 3 – even if I have to travel over an ocean to eat it. 01 Apr	This entry was published on April 1, 2013 at 9:49 pm and is filed under Uncategorized. Bookmark the permalink. Follow any comments here with the RSS feed for this post. 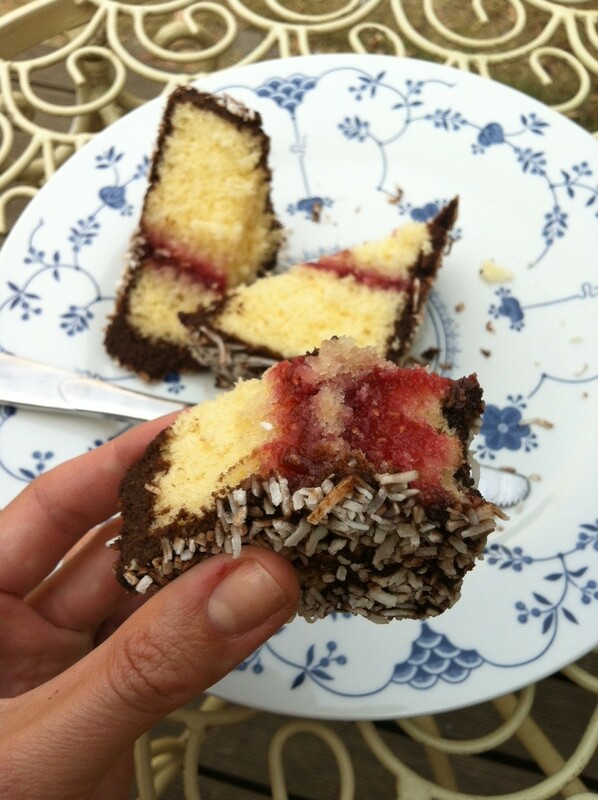 Someday I really have to get to Australia, if only to try a Lamington. I mean really. If voting-by-blog can count, I give this one a cheer for the strawberry jam. Happy eating!